See us weekly on Texas Country Reporter! Top TX Towns takes the guesswork out of travel and tourism in the Lone Star State. Find the perfect spot for your next getaway. 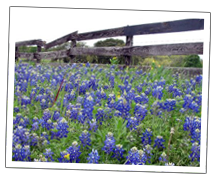 Visit a member town today and you'll see why it's a Top TX Town! "I want my town to be a Top TX Town!" Applying for Top TX Towns is easy! Just have your local chamber of commerce contact us. We'll send some information and get to know what makes your town a Top TX Town!